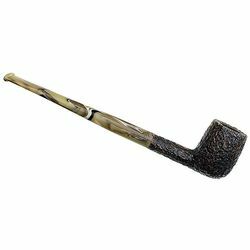 The "104" is a trim, handsome, classical straight Billiard by Savinelli, and a popular choice across many lines and finishes. The Ginger's Favorite is Savinelli's ode to silver-screen actress/dancer Ginger Rogers. 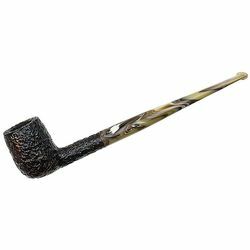 Like other Favorite series briars, it offers classic Savinelli shapes in elegant, long-stemmed form, albeit here using a horn-patterned acrylic specific to this line.